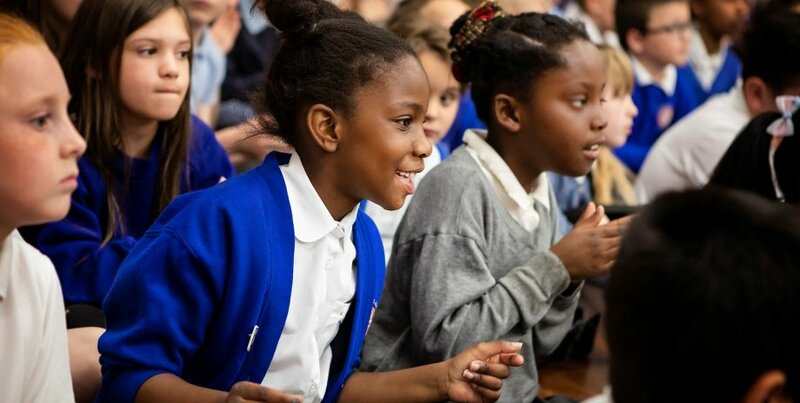 SparkPlus was piloted at The Spark Festival 2018 as a new way of working in schools, transforming how we deliver the annual festival in future, making a bigger impact on children's lives and academic outcomes. SparkPlus consists of a bank of experiential learning ideas and teaching strategies to enhance speaking and listening, reading and writing. They were designed to complement two of the productions that were toured to schools in May 2018 part of the Festival. They were also incorporated in to the Poetry and Music projects. The pilot required a whole school approach, with the focus being on two year groups. Each school hosted a performance. In addition, teachers worked alongside a specialist teacher to deliver a bespoke learning package around each production. The teachers were also be given opportunities to respond and feedback on the process. The programme in 2018 took place in 12 schools and a total of 536 children received their Discover Arts Award.